What will you do for Easter 2019? Share the fellowship of walking towards one of the most memorable Easter celebrations you’ll ever have. 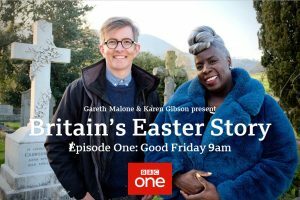 NEW INFORMATION – Northern Cross will be on BBC1 9am – Good Friday. watch this to find out more about the history of Northern Cross! You can read about previous years’ pilgrimages as it happened on Twitter or Facebook.